A slope on the Moggill River Embankment in Queensland required stabilising. The substrate was a combination of river sand and sandstone, and the angle of the slope was 2-1 / 1-1. 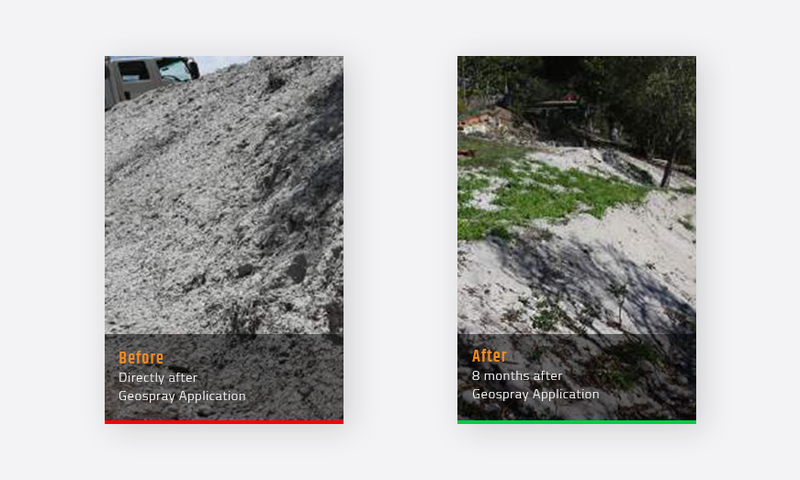 To stabilise the slope, our spray-on erosion control product, GeoSpray, was applied under the supervision of Dr. Druce Batstone B.Sc. (App), B.E., PhD.